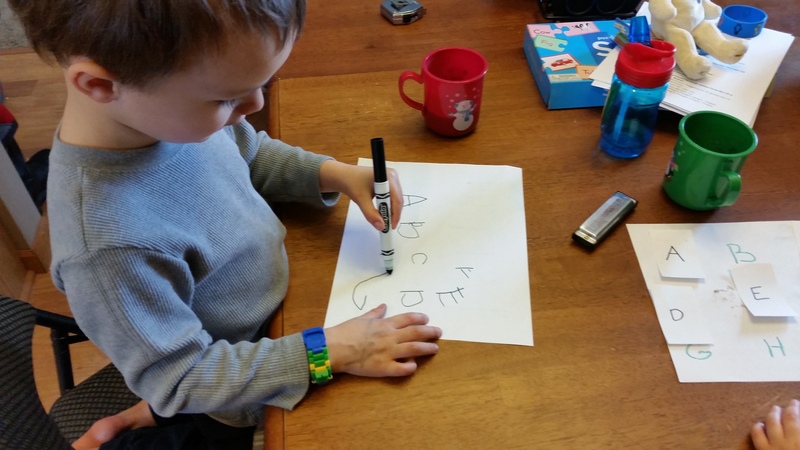 Joe wanted to trace letters. So…I printed out a few templates with the words from Books 1 and 2 of the Bob Books Beginner Set. 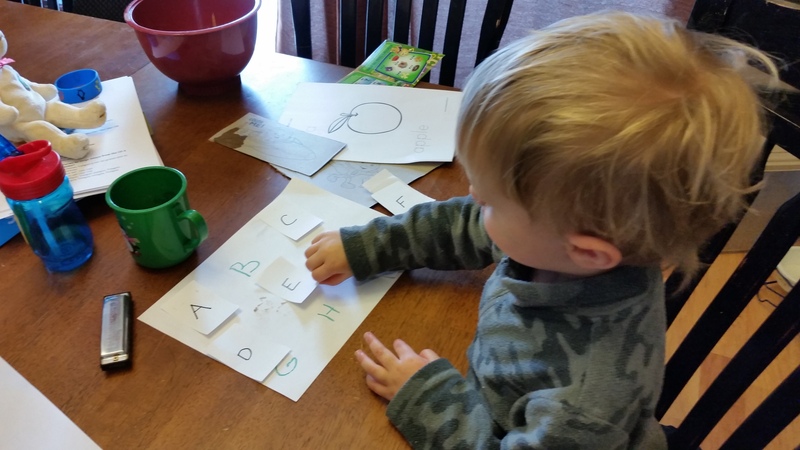 When Joe got bored with the letter tracing, he flipped the paper over and started writing letters in alphabetical in order. I’d never seen him do that free-form before. I asked him to sing me the alphabet song. “Mommy, I want to do the cardboard one,” he said after he was done. Words cannot describe my excitement! I quickly grabbed the cards and cardboard we’d used yesterday and set them on the table. We changed it up a bit. Rather than giving him one word at a time, I shuffled the cards, handed him the stack and asked him to match the words. After he had matched all the words, we read the books Mat and Sam. As we came to each word, I asked him to pull the matching card off the board. 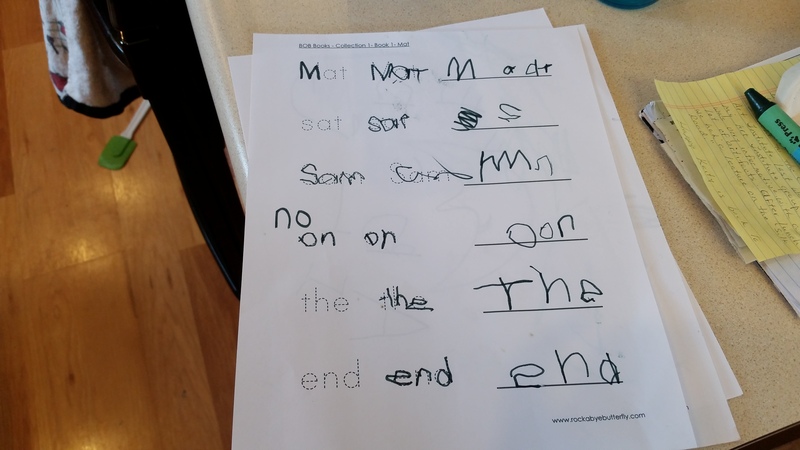 I repeated the word pointing first to the card and then to the word in the book. On the last page of the first book, before he pulled the matching cards off the board, he pointed to each word and said, “The End”. Ok, so I know that the end of the book usually says ‘The End’…but I am really happy that he is starting to recognize the words we are learning.